This coffee is one of our all time favorites and we are thrilled to have it. The 1900 in its name is derived from the farm's elevation at 1900 meters making it one of the highest altitude coffee farms in Costa Rica. 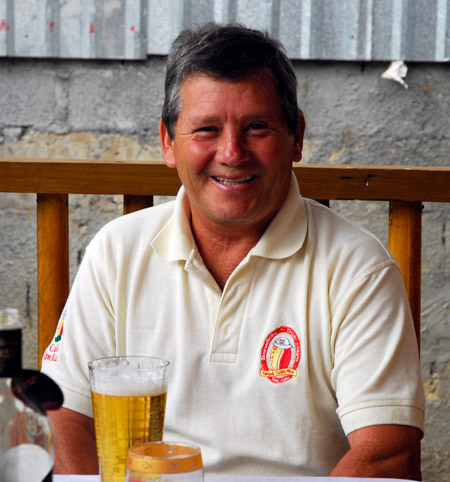 We visited Hector Bonilla a couple of times in recent years, having a great time with him and his family at the Don Mayo micro mill that they own and operate. In addition to being one of the pre-eminent new boutique mills in Costa Rica, Hector also owns several parcels of choice coffee producing land in surrounding Tarrazu, including this wonderful San Francisco parcel, high up in the clouds. During our days in the area we cupped many, many coffees, all blindly, and the San Francisco spoke to us as it had when we offered it for the first time. It's so nice when you discover something of quality produced by people with the best intentions and the skill to realize their vision. The Bonilla Solis family, owners of the Bella Vista Tarrazu farm and Don Mayo micromill, won 1st place in the 2009 Cup of Excellence competition. The winning coffee was from their Bella Vista 1900 farm (1900 meters high) owned by Josué Bonilla Solís. We are pleased to offer San Francisco 1900, coffee from the same farm, elevation and micro mill as the winning lot, but at a fraction of the price. This is a direct trade coffee and we have purchased the majority of their production of this lot. The Tarrazu region has extremely mountainous terrain, high elevations and some of the best growing conditions for coffee in Central America. The lot area called San Francisco de León Cortésis is a micro region on the Bella Vista farm located at 1900 meters, about 6250 feet. 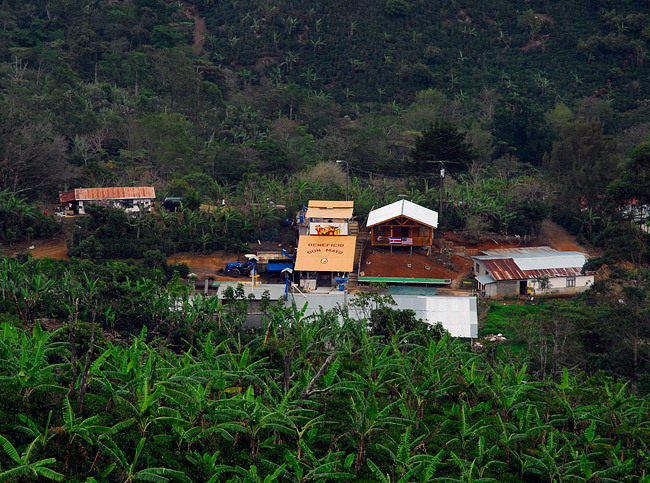 The nearby Don Mayo boutique coffee mill which processed this coffee, as well as the farm itself, is a family owned company of the Bonilla Solís family. So, there is total control and continuity between the farm's production and the micro mill's processing. The family has been active in quality coffee growing and production in Tarrazu for more than 50 years. Varietal is 100% Caturra, traditionally processed at the Don Mayo micromill. 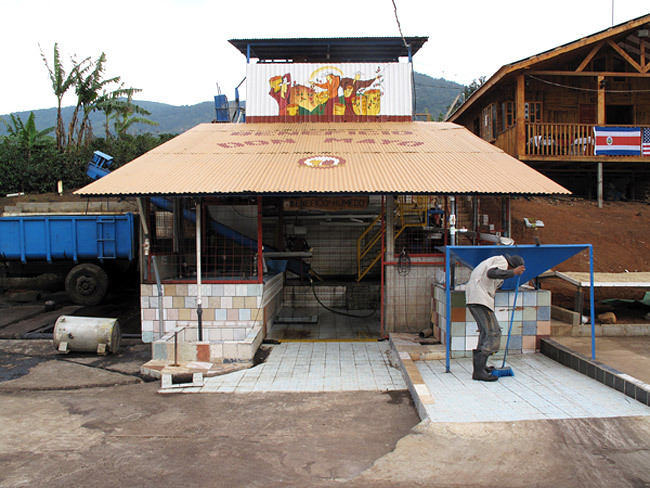 This includes depulping, fermentation, washing, patio drying in the sun, and, after a couple of months of repose, the coffee is milled before shipping. Of note, we purchased this coffee in Grainpro bags so they have and will continue to be protected from moisture, taste and external odors. 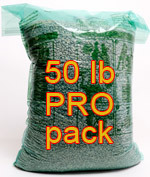 This will optimize the coffee's flavors and keep the coffee at its peak longer. Hector Bonilla enjoying something other than his terrific coffee. The wetmill is surrounded by drying patio and storage. Cup Characteristics: This wonderful coffee has a nice clean, bright and sophisticated style. This is classic Costa Rica Tarrazu with orange, lemon complexity. Lavender background notes. Structured, lively acidity. Long aftertaste. Refined, elegant, classy coffee. 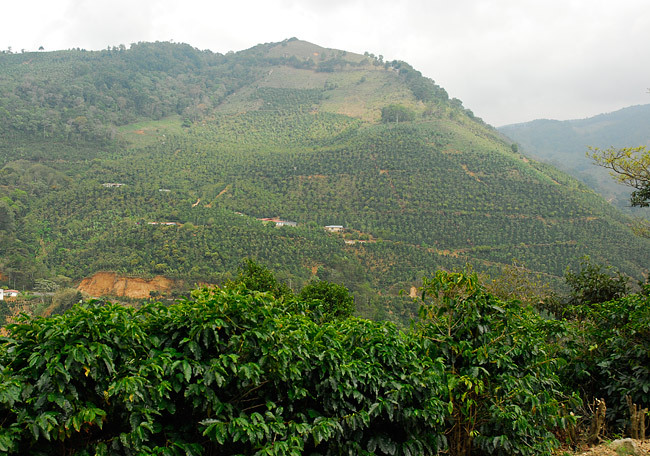 The high elevation at which this coffee is grown makes for concentrated flavors. Roasting Notes: This high grown coffee is hard and durable, thus it can withstand higher heat and longer roasting times, doing very well to second crack. But do yourself a favor and pull the coffee before the roast dominates; the more delicate flavors will be revealed.